When traveling on a boat, comfort is essential, especially if the climate is cold or humid. The PLANAR 2D Marine set is intended for Boats/Yachts of up to 33ft/10m long. The heater will keep your cabin dry and warm, and stop humid or cold weather from ruining your journey. 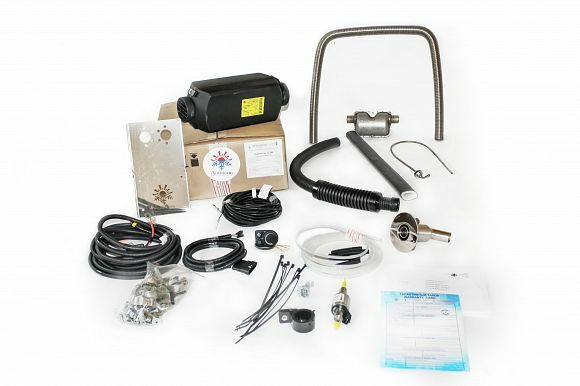 This is the smallest installation kit for boats and yachts offered from Autoterm. The set includes a standard installation kit for the PLANAR 2D air heater and minimal required marine accessories, including a mounting plate, and an exhaust adapter for use without an air ducting system. The heater is equipped with a brush-less induction motor that ensures a low noise level and minimises interference with sleep. Extend your sailing season till the ice comes!